Hurrah! Julia Quinn has a new book out! Oh No! It’s only out in the USA and I live in the UK…. Ahh But I wouldn’t let a trifling thing like the Atlantic Ocean get in the way of me reading the latest book from one of my favourite authors! 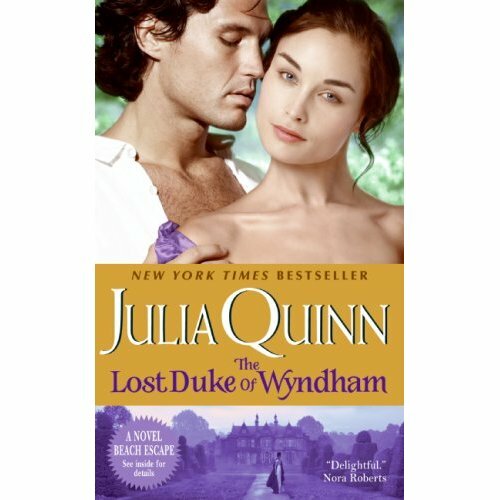 Will the real Duke of Wyndham please stand up? Jack Audley has been a highwayman. A soldier. And he has always been a rogue. What he is not, and never wanted to be, is a peer of the realm, responsible for an ancient heritage and the livelihood of hundreds. But when he is recognized as the long-lost son of the House of Wyndham, his carefree life is over. And if his birth proves to be legitimate, then he will find himself with the one title he never wanted: Duke of Wyndham. I loved it, loved it, loved it! I could rave all day how much I loved this book. It was classic Julia Quinn, and after being slightly disppointed with her last book (The Secret Diary of Miss Miranda Cheevers) I was glad to see that Julia is back to her usual form. I won’t tell you what actually happens in the book, but Julia has created a wonderful story and she slowly reveals things about the main characters that makes it entralling and a real page turner. Jack the main character has a “problem” that is revealed later on in the book and though I have read another book where the hero has this same “problem”, she did a great job. I suspect she created her Dowager Duchess (the old dragon) based on Lady Catherine De Burgh. But I won’t speculate! So overall, I couldn’t put it down (read it in 24 hours). The ending was a surprise – it felt like it was leading up to a different twist, but I wasn’t disappointed. A lovely heroine and hero, great love story, great secondary characters and another book out in September that’s kinda tied to this one….can’t wait! 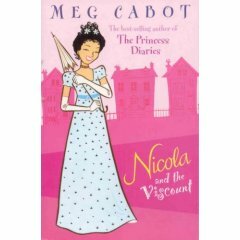 Nicola and the Viscount is a regency teen book (who’d have thought it! ), written by the same author who wrote The Princess Diaries. I saw this in the library and was intrigued what it would be like. Having enjoyed the Princess Diaries (films) I thought it might be worth a go. Nicola is in love! And not just with an ordinary man. Her heart has been captured by Lord Sebastian, better known as The God – the most handsome and dashing man who ever lived. But are gods always as perfect as they are meant to be? The heroine in this story is just 16, (no surprise there since its a teen book) and she can get a little irritating at times. But she is a strong girl, and with a good heart. She calls the hero of the book “the god” throughout and it is quite funny. She also calls her annoying cousin “the milksop”. This is a bright, quirky book but with a predicable plot (nothing new about it) but it does hold a certain charm and I’d definitly recommend this book to teenage girls (esp those daughters of women who love regencies and want to get their daughters into them). The romance is not very strong in the book, but when it’s there, it’s nicely done. I got the impression that Meg Cabot was a Heyer fan and had always wanted to write a regency. (Nothing wrong with that – if it helps along the next generation into the regency world, I’m all for it.) In fact Meg Cabot has a writing style very similar to Julia Quinn. Again, nothing wrong with that! I’ve been hoping to find another author as good as one of my favourites Wendy Soliman, and I can safely say, that Elizabeth Hanbury has made the mark. 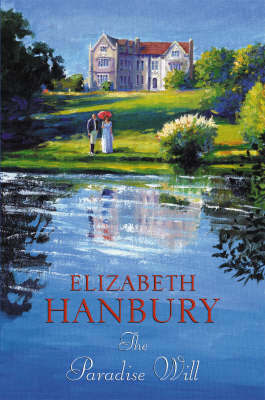 When spirited Alyssa Paradise unexpectedly inherits her uncle’s property in Dorset, she is determined meet the challenge of running a grand estate. However, there is a surprising condition: every week for six months she must dine tête-à-tête with the enigmatic Sir Giles Maxton, who owns the adjoining land. Alyssa wonders how she will endure this arrangement – Sir Giles cuts a dashing figure but he is positively insufferable! The author draws a rich picture of the regency period – the language in the dialogue is spot on (just like reading a Georgette Heyer) and the detail draws you in. The story was charming, the heroine sensible and likeable and the hero – thud! (You have to read it – he’s just hits the spot!) The sexual chemistry is brilliant and the minor characters charming too. All that plus the humour – I can’t fault it! I’ve always thought that it’s the minor characters that turn a good book into a great book, and this is a great book. I’ll definitly be re-reading it. Highly recommended.